While some of these claims stem from the ongoing fear of marketplace disruption from Netflix, the tax fairness argument is a good one. In fact, many other countries or tax jurisdictions have either instituted sales taxes on foreign digital services or are in the process of doing so. For example, the City of Buenos Aires in Argentina last year passed a resolution forcing debit and credit card issuers to withhold three per cent from payments made to streaming service providers. The levy was specifically targeted at Netflix subscribers in the city and was reportedly designed to make local streaming services more competitive. Interestingly, technically there is tax equivalency since Canadians are supposed to self-report the applicable sales tax in a self-assessment. In reality though, few are aware of the obligation and even fewer do so. Indeed, with an annual HST bill of $12.46 for a 12-month Netflix subscription, the missing dollars seem insignificant on an individual level. 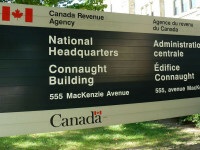 Those individual bills can add up to millions of dollars, however, which may provide enough incentive for the federal government to conveniently forget the fall promise of “no Netflix tax” (which referred to a fee for creating Canadian content, not sales tax) and establish a system to require foreign digital operators to collect and remit sales tax on their Canadian sales. Should the government embrace extending sales taxes to foreign services, the big question will lie in the implementation. The issue of creating a global sales tax system that requires foreign provides to register and remit sales taxes is fraught with complexity. Registration requirements alone create new costs that some businesses may be unwilling to bear. In fact, some may simply decide to avoid or block the Canadian market altogether, leading to even more services that either decline to sell to Canadians or which increase their prices to account for the regulatory cost burden. In order to avoid burdening small businesses, countries may set a revenue threshold before registration and collection requirements kick in. For example, Switzerland requires foreign digital service providers to register and collect an 8 per cent tax provided that they earn more than C$140,000 annually in income. Even with a threshold to limit collection to larger businesses, the complexity associated with digital sales taxes is difficult to avoid. Will the collection apply solely to consumer purchases or also business-to-business sales? Will all digital sales – including virtual property in games or cloud computing services – be subject to a levy? Given the ever-changing digital environment, the digital taxman may be on the way, but identifying what is subject to sales tax will be easier said than done.